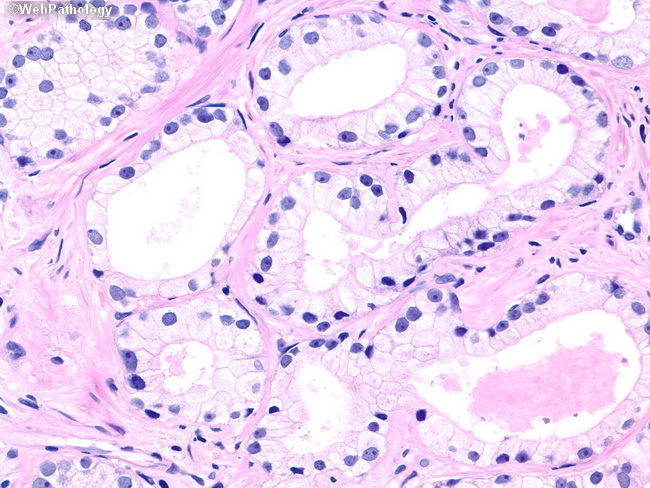 The neoplastic glands have abundant pale cytoplasm. This was a focal finding in a radical prostatectomy specimen. The glands in the dominant tumor nodule had amphophilic cytoplasm.